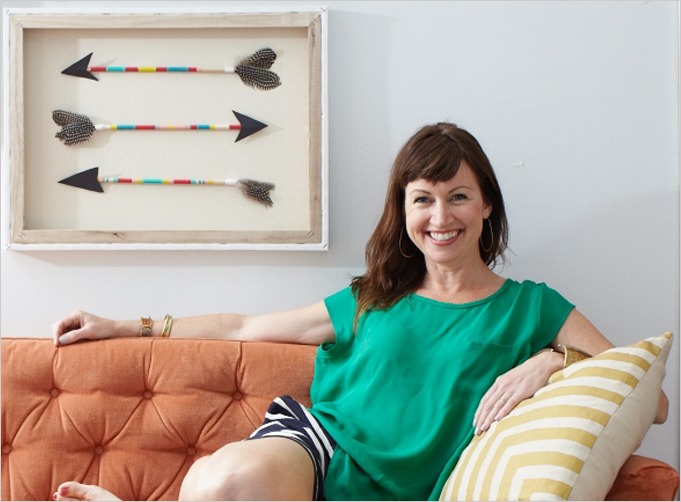 Corrin Arasa is a noted event planner, creative genius, and self-proclaimed vintage junkie. As the founder of Patina, a Brooklyn-based vintage rental company, she’s found a way to incorporate all three traits into one killer career. Patina has become an event planning paradise- full of treasures from all eras, styles, and corners of the world. 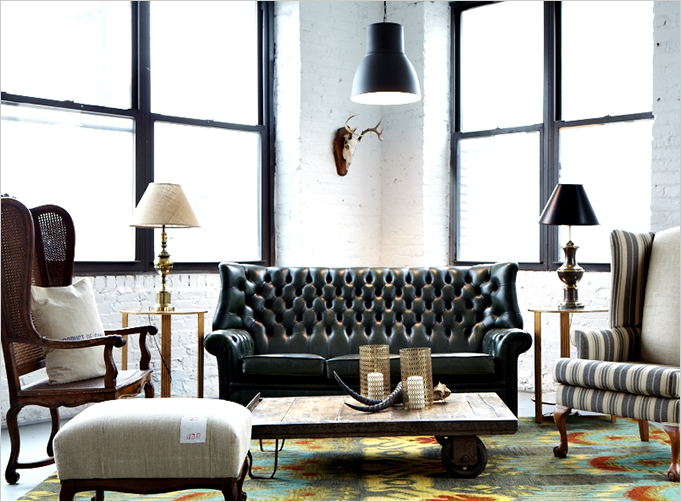 Of course, with an eye for vintage quality- it’s no wonder that Patina also is home to an absolutely stunning studio. 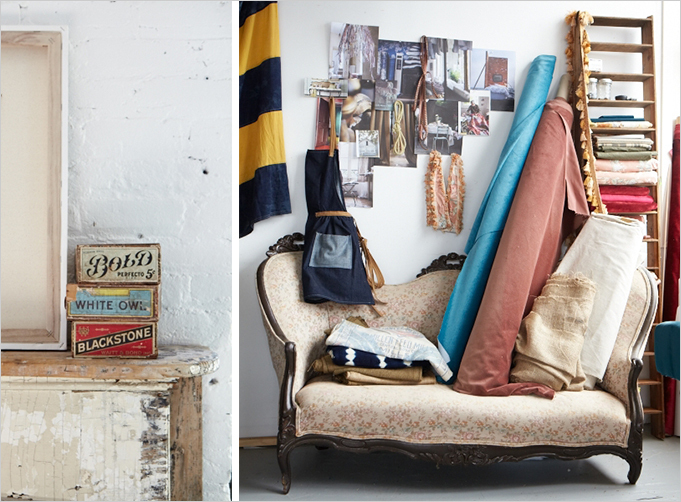 Located in an old garment factory in Brooklyn, every square inch holds a refreshing vignette- and as you’ll learn, maybe even a rollerskating rink. We sat down with Corrin to discuss all things Patina- from her passion, to her team, to finding vintage pieces of your own. Needless to say, we sort of want to join Team Patina ASAP! When did you discover your passion for events? Creating a one-of-a -kind experience, whether it’s an intimate dinner party at my house or a huge product launch in Times Square, has always been something I’ve loved to do. Before I went out on my own, I was a marketing exec at Estee Lauder Companies. It was really important for me to get our products into the hands of bloggers and consumers in a unique and engaging way. We dreamed up all sorts of creative events that got people talking, sharing, and interacting with our products in way that couldn’t be done through other forms of marketing. When I realized the power that events had to create such positive word of mouth, I left to start my own agency and have been lucky enough to work with some truly amazing brands and super creative people. 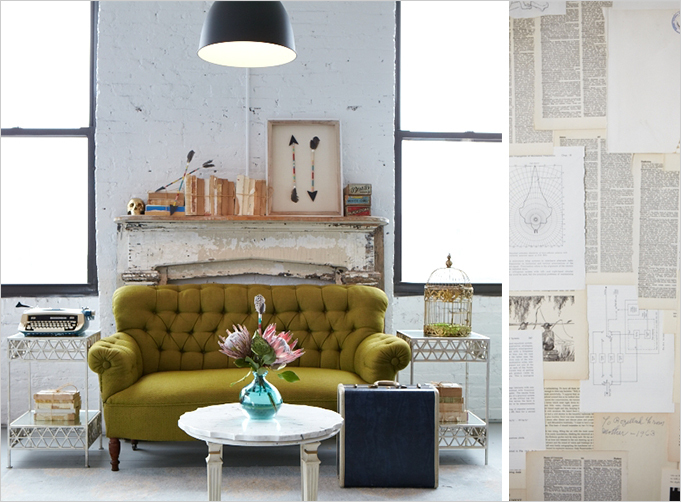 What brought the inspiration for a vintage rental company? Most businesses start with a plan, mine started with a chair. I was designing a huge event for a corporate client. I was on the search for the perfect chair. We needed something with authenticity and character, something that says this is different; this is special. This illusive chair didn’t exist in any of my usual event design resources. I never found it for my client. That really bugged me. It wasn’t until after the event that it dawned on me that I had the perfect chair at home. I’m pretty obsessed with vintage furniture, I dig pieces with history, and character; my home is filled with them. So when I finally made the connection I needed to do something about it. I went full speed ahead with the creation of Patina. I went on a mission to curate a cool collection of vintage pieces that art directors, event designers, couples and photographers could use to help tell their story. How would you describe your personal aesthetic in three words? When creating your studio, what were the most important aspects? The studio experience is such a core part of our brand. We want everyone to leave feeling inspired. 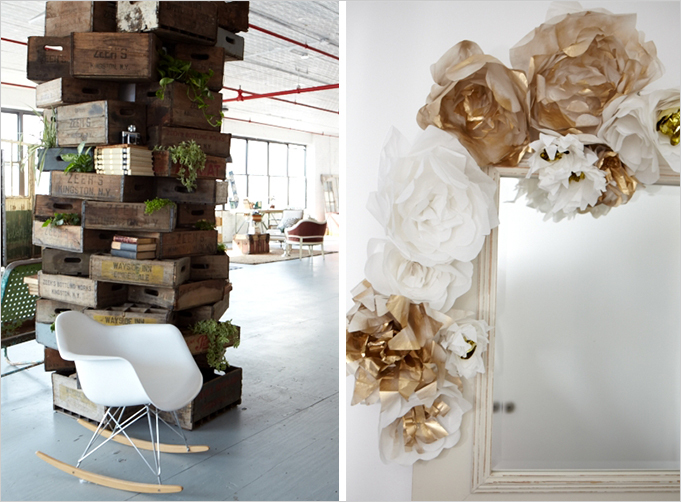 We try keeping the studio fresh by creating new installations, new vignettes, and fun events in our space. For instance, we recently turned our studio into a roller rink. We brought in a skate truck (kind of like a food truck that serves roller skates), broke out the disco balls, pumped in some old school skate jams, and served a modern twist on throwback roller rink eats. It was a total blast. That sounds like a blast!! When it comes to business, what does a typical workday look like in the Patina HQ? Somehow it always involves cocktails and a LOT of laughter. The energy in the studio is always so great. We start our day after a yoga class or workout. We often have friends dropping in to take a look at our new goodies with or to watch the new pieces we’ve dreamed up come to life by our rock star upholsterer Colleen. Michelle is often seen with a glue gun, a can of gold spray paint, or arranging a new vignette in the space. Our new intern, Joanie, has her hands in everything. Kim can usually be seen hanging around with event designers sharing cans of champagne or working together with our delivery guys to get everything out to an event. So fun!! 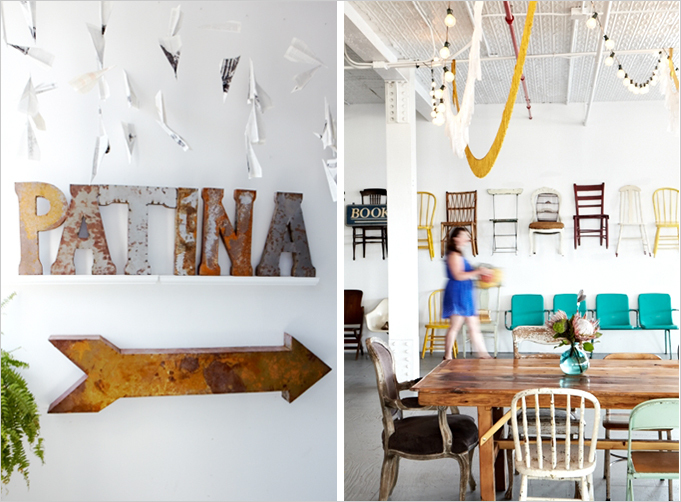 If we were to visit the Patina HQ tomorrow- what music would we hear playing?? Right now were really into Daft Punk’s new album. We throw in some Beastie Boys and Alt- J, it’s a good mix. Since it’s summer time, we’ve been listening to some Jamaican Vintage lately and we don’t ever miss a new Chances With Wolves episode- they have the best mixes ever- give it a try! Unfortunately, many of our readers may not have access to your studio. 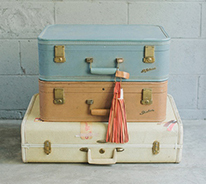 What’s your number one tip for finding the perfect vintage piece? Listen to your heart, it knows what you want. If you’re not sure, pretend for a second that someone else grabbed it before you and see how you feel. If you decide to go for it, check it thoroughly before you commit- really give it a good inspection so you don’t have any surprises when you get it home. We love the suggestion of imagining someone else has gotten to it first. A true way to quickly discover if you really need it. Thank you so much for chatting with us, Corrin- we’re certainly inspired to hit a flea market or estate sale as soon as possible! For more information on Corrin or Patina rentals, click here.